The Mediterranean Institute of Gender Studies is delighted to announce the launch of the European Women’s Lobby 50/50 Campaigns’ “No Modern European Democracy without Gender Equality” Lobbying Kit ahead of the EU Elections 2014. The Lobbying Kit aims to provide resources for national (women’s rights) organizations and dedicated individuals in their demand to ensure the equal representation of women and men in political decision-making ahead of the coming elections. 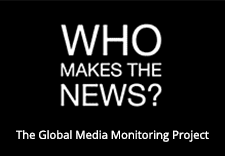 The Lobbying Kit serves to facilitate the engagement of individuals and organizations on the one hand, and provide facts, figures, and arguments to show why parity democracy is important to both women and men across Europe. 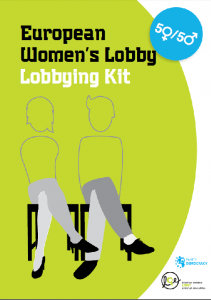 The Lobbying Kit was developed by the European Women’s Lobby within the framework of the Parity Democracy project co-funded by the Fundamental Rights and Citizenship Programme, and the EWL 50/50 Campaign. Please feel free to adapt the lobbying letters to your needs- send them, post them on your website or on your social media.